Biotronik has announced that the FDA has approved, with conditions, the ProMRI clinical trial via an investigational device exemption. Biotronik is sponsoring the trial (NCT01761162) and has already initiated US site recruitment. The ProMRI clinical trial is designed to recruit 245 subjects implanted with one of Biotronik’s cardiac devices that include ProMRI technology at 30 US investigational centres. 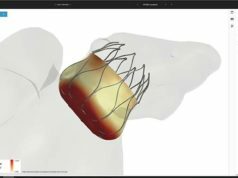 The ProMRI trial will evaluate Biotronik’s Entovis dual- and single-chamber pacemaker systems after exposure to magnetic resonance imaging (MRI). These systems, which include Biotronik’s current pacing leads, are already approved in the USA. The trial will test the safety and effectiveness of the Entovis pacing system in patients undergoing MRI scans under predetermined conditions. The ultimate goal of the trial is to determine whether patients with these devices can safely undergo MRI scans. This could, in turn, provide access to important scanning procedures that will meet the future medical needs of patients implanted with Biotronik pacemakers. ProMRI investigator Leon Feldman, at Eisenhower Memorial Hospital in Rancho Mirage, USA, points out that, “While Entovis is not the first pacemaker proven safe in the MRI environment, if the endpoints are met, it will be the first device that includes all the modern features and capabilities electrophysiologists expect to have available in pacemakers and leads.” Feldman implanted the first Entovis system in a US patient on 26 December last year. Additional Entovis implants have already been performed by Timothy Shinn at St Joseph Mercy Hospital, Ann Arbor, USA, by Seth Goldbarg at New York Hospital Queens, Flushing, USA, and by Jagmeet Singh at Massachusetts General Hospital, Boston, USA. According to Biotronik, Entovis devices are renowned for their ability to provide the most advanced physiological therapy available via Biotronik’s proprietary Closed Loop Stimulation (CLS) and Biotronik Home Monitoring technologies. Biotronik’s active-fixation pacing leads have a flexible distal end, fractal coating, and steroid elution to provide excellent handling and stable fixation, as well as optimal electrical performance.